The Longridge Lite stand bag is an 8.5” golf bag that features ultra-lightweight material and dual strap ensuring less strain on the body and more comfort. 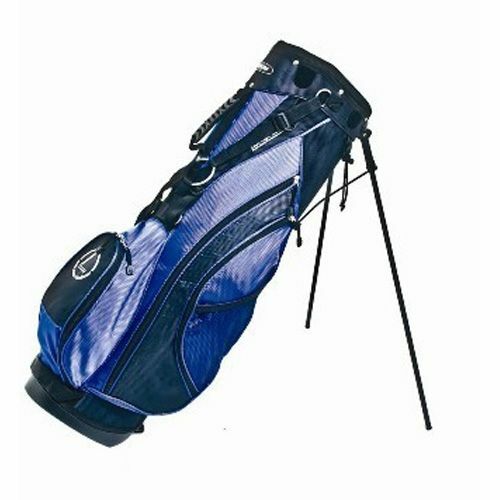 The bag offers 6 way divider top, 4 zipped and 1 mesh pocket, which provides easy and tidy storage of the clubs as well as the owner’s personal belongings. The bag features padded twin shoulder strap for increased comfort and convenient carrying. The material is lightweight yet durable to make sure the bag lasts many games. for submitting product review about Longridge Lite Stand Bag.